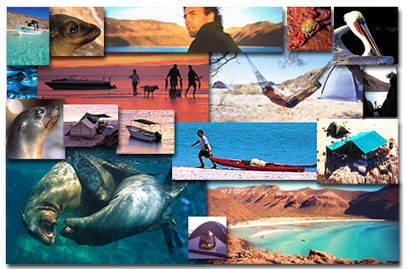 Bajacamp: Safari style camp on the beach of Sea of Cortez Island of Espiritu Santo Baja California - Mexico. Glamping. In un'isola deserta, nel Mare di Cortez, sono riuscito a montare un campo, lontano da tutto, fuori dal mondo. On a desert island on the Sea of Cortez, far from the rest of the world, I set up a tented camp with a group of friends.